Constant torque hinges with factory-set levels of resistance provide continuous resistance against motion, making a lightweight plastic table for instance, feel heavier and more substantial for the end user. 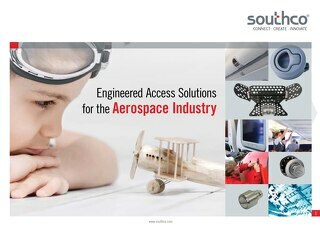 Todd Schwanger, Global Product Manager, Southco, Inc. The door hinge is one of the world’s most common and widely used devices. 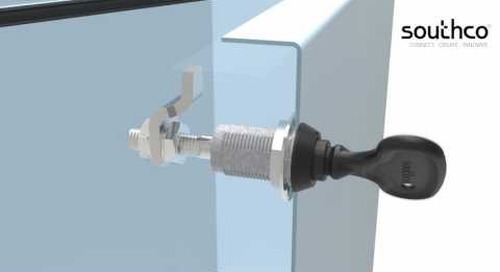 What may not be widely known is that hinge technology offers a sophisticated range of functionality that many industrial designers can use to improve the operation of the systems they design. 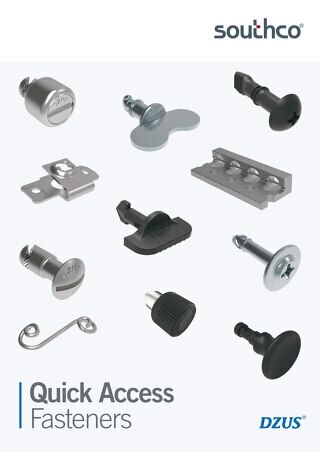 From fixed-position detent hinges that hold doors open at predetermined angles and eliminate the cost and labor of additional components, to counterbalanced positioning hinges that provide lift and give the designer the ability to control the desired user effort to position panels or screens, design engineers across a wide range of industries and applications have the opportunity to leverage an array of innovative capabilities that have been engineered into today’s hinge technology. 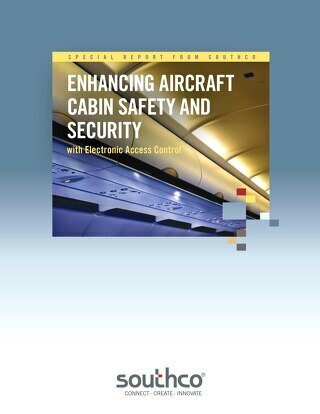 Whether opening and lowering a tray table on an airline, or slightly adjusting a credit card/debit card reader device at a checkout counter, individuals take actions and draw impressions from experiencing these “touch points” daily. 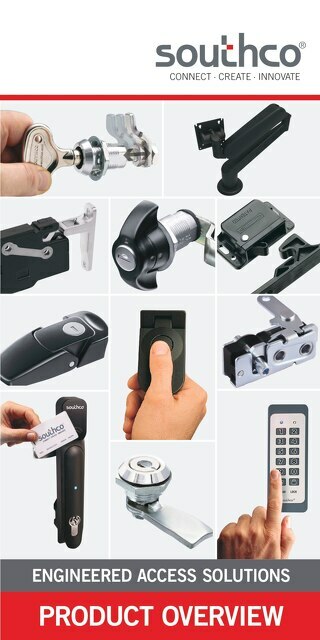 The diversity and sophistication of the latest hinge technology provides industrial design engineers with new tools to achieve unique touch point experiences in the products they create. The most common hinge is also the simplest: the standard, free-swinging hinge, for opening and closing, with no resistance, and which falls open under gravity and bears the weight of the device being moved. Beyond this basic device, hinges have evolved into a whole new and highly useful technology offering: positioning technology. With positioning hinge technology, designers can define and adjust the operating effort required to move or position doors, display screens, safety shields, lights – virtually any mounted component that is opened, closed and moved. 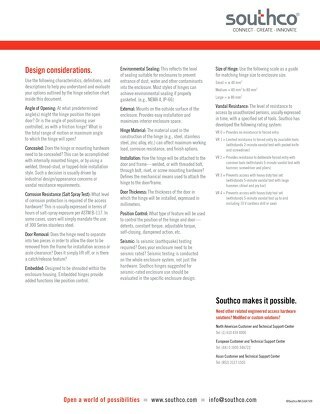 Using positioning hinges to change – or elevate – the user’s perception can be applied in many different ways. 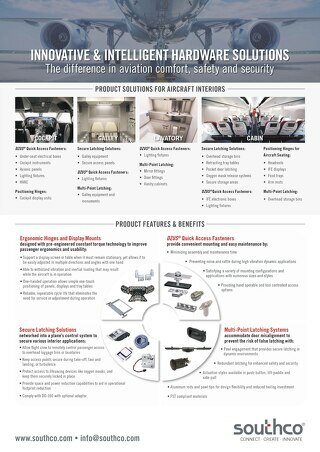 Consider the airplane tray table. 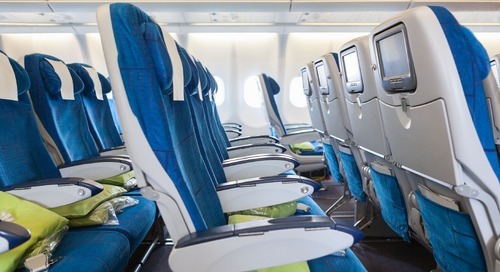 Seating designers must use extremely lightweight plastic components in these applications to help airlines reduce fleet weight and conserve fuel. However, a tray table that just flops down upon opening can lead a passenger to question the quality of the aircraft itself. Using a constant torque hinge with a factory-set level of resistance, the tray can be lowered by the passenger with just the right level of force, making the tray feel more substantial and improved perception of quality to their environment. 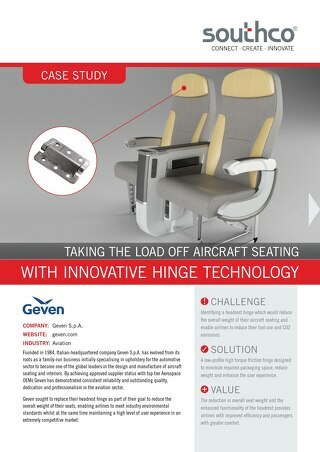 In addition, constant torque hinges designed and manufactured with high-quality materials retain the desired resistance after thousands of flights, without requiring maintenance or parts replacements. Although many applications would require only one type of hinge, these different categories can also be combined into multifunctional hinges that provide multiple positioning functionality in a single device. Constant torque hinges provide both smooth operation and infinite positioning. This allows for intuitive movement of a device – opening and closing a laptop, a mounted display screen at a checkout counter, etc. – that holds the hinged device at any point throughout the full range of motion when stopped. Constant torque positioning hinges, like Southco’s E6 Series, provide reliable positioning with consistent operating efforts, and eliminate the need for secondary support components to hold doors or panels in position. The amount of effort to move it is just enough to respond to deliberate motion, while holding in place for more casual or touch interactions. A now-common example of this is the expanding use of touchscreen interaction monitors at checkout counters. A constant torque hinge attached the monitor to the base, allowed the cashier to tilt the monitor up and down for optimum viewing and interaction with ease; at the same time, the tapping of icons and touch points on the screen can be done without the screen shifting from the cashier’s desired position. Traditionally, this capability is accomplished with clamping or latching mechanisms, which often do not provide the infinite positioning ability that a constant torque hinge supplies, or the smooth, flowing tactile feedback. In addition, a constant torque hinge provides one-handed operation, rather than pushing a button or flipping a lever to move the device. In addition, constant torque hinges can also be engineered to provide asymmetric torque: Different amounts of effort are required to move the hinge in one direction – open or close, up or down. 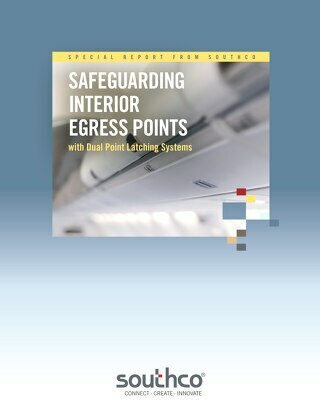 This feature has been used in certain types of headrests in airplane seats. 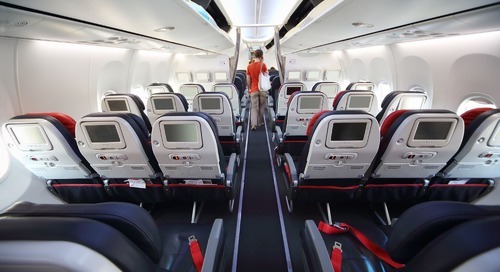 The passenger can pull the headrest wings forward in the low torque direction easily, while still having the high torque direction resist the force of their head leaning on the rest in the opposite direction. Detent hinges are engineered to provide very specific motion and tactile feedback: The door or device is opened and locks into place at a pre-set angle, usually with a distinctive “click” that can be felt. These types of hinges are often very useful for lightweight cabinet doors or other devices that must be consistently opened, out of the user’s way. 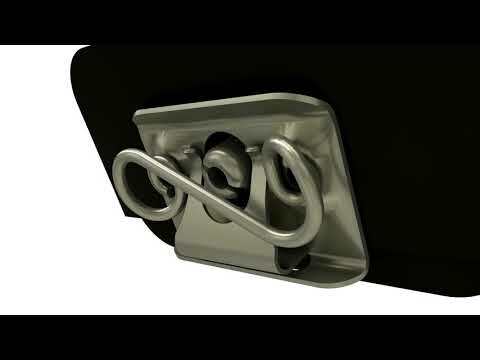 Detent hinges require the user to keep moving the device until it reaches the right position for the working environment, for instance, a pre-set angle of 90 degrees. Fixed-position detent hinges, like Southco’s C6 Series, drive to position and hold doors open at a predetermined angle. A variation on detent hinges are called bi-stable, which contains a built-in spring mechanism that automatically drives the door or device to the pre-set angle once the door is open. This functionality is useful for doors, access panels or covers that must be opened to a minimum angle for easy entry, or to avoid collisions with surrounding equipment. The bi-stable mechanism automatically rotates the panel to one of two preferred positions,, either fully open or fully closed, with simple touch operation. For applications requiring this type of automatic full open and close, some designers may include gas struts or gas springs in addition to a basic hinge to achieve the desired functionality, adding component cost to the system. With the bi-stable detent hinge, essentially the hinge does all the driving. Counterbalance hinges provide a very useful capability for easily opening and moving heavy doors and other fixtures. They incorporate heavy-duty counterbalance springs that store energy when the door or fixture is closed; upon opening, the energy is released and the effort to move the door to a fully open position is minimal – the hinge does most of the work. Southco’s CA Counterbalance Hinge is designed with a spring system that takes the effort out of lifting and supporting lids, doors and panels by counteracting the weight of the lid, providing precise balance for ease of positioning. Counterbalance positioning technology provides an excellent solution for applications where the element being lifted has significant weight, making operation safer and easier for the end user. Medical equipment such as blood analyzers or centrifuges is one example; large capacity deep freezers are another. For applications where operators are routinely opening and closing heavy doors – industrial copiers are one example – counterbalance technology can help reduce fatigue and improve operator efficiency. For instance, a door with a symmetric torque hinge may require 2.3 kilograms (kg) of effort to open from fully closed to 90 degrees open. Utilizing a counterbalance hinge instead, the energy required to open the door can be reduced to 0.9 kg. In the past, to enable opening of heavier doors designers would incorporate gas struts or other devices to provide the added lift; counterbalanced hinges now provide a more economical, single device solution. And the newest counterbalanced hinges can incorporate a latch to support pop-up opening: When first opened, the heavy door lifts a few degrees, and then the user pushes gently to fully open it to the desired position. For applications that require the lifting of larger doors, counterbalance torsion spring systems like Southco’s LIFT-A-SYST® Series can be used to neutralize the weight of heavy doors, providing motion control for easy and safe opening and closing. Damping hinges provide designers with a unique option: Rather than control the position of the device, they control the speed with which it moves. With a door, compartment or other device using a damping hinge, when force is exerted, it moves steadily to the open or closed position, rather than popping open or requiring the user to push it all the way closed. This kind of smooth, steady motion is becoming widely preferred in a number of high-end applications, such as car interiors. For items such as eyeglass storage compartments, USB port carriers and other compartments that are opened and closed, damping hinges add to the impression of a high-tech, finely engineered interior that is a crucial element many designers are seeking to achieve. Leading suppliers of hinge technology have recognized that every time an end user opens, closes or moves a hinged device, the individual is both exerting force and is experiencing a distinctive tactile experience. The advent of more advanced positioning hinge technology gives industrial designers across a broad range of industries and applications a new set of tools to enhance the user experience and thus, the impression they have of the devices being used. 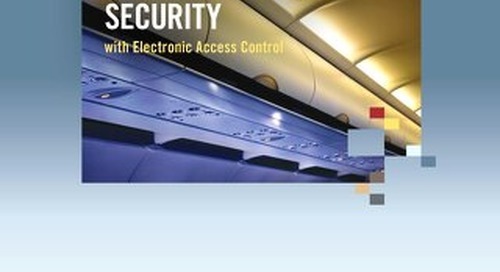 The range of applications is expanding, and so are types of positioning technology available. The four types of hinging technology described can actually be combined to satisfy multiple requirements – for example, detent and damping functionality can be combined in a single hinge, so that a door easily opens to a fixed position and clicks in place, and then moves on its own in a controlled fashion to the closed position when it is pushed shut. 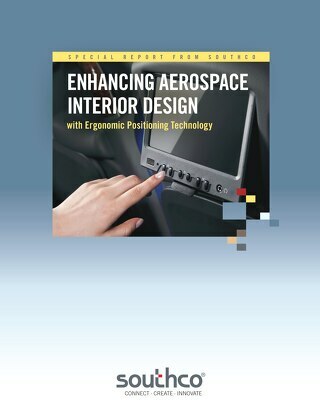 The key is to determine the full usage case for each application – what ergonomic effort should be expended to open, position and close a device, what user feedback is needed or desired to accomplish this motion effectively and on a repeatable basis. The industry’s leading hinge suppliers have extensive experience working through these usage cases to help define the optimum solution, and can provide in-depth expertise to cost-effectively configure the right positioning technology for each application.